The best annuity rates in Dallas are only a phone call away. If you’re preparing for retirement in Dallas, you know how important it is to ensure that your income will last you (and sustain your comfortable standard of living) for the rest of your life. But what if you live longer than you expect? Do you know how many years your income is going to last you? No one wants to die early—but what if you’re actually afraid of dying too late? You shouldn’t have to be torn between wanting to spend more time with your loved ones on one hand, and worrying that you’ll run out of money on the other hand. Annuities help retirees to mitigate the risk of outliving your income. You make a lump sum deposit with the insurance company of your choice. The insurance company agrees to pay you a monthly income until you die—no matter how long you live. However, there are a lot of mistakes that you can make when you choose an annuity, and too often, people choose an annuity product that simply isn’t the best for them. When you work with the folks at Income for Life, you’ll not only be getting solid advice on how to choose your annuity, you’ll also gain access to the best annuity rates in Dallas. Here’s why: Income For Life allows you to get the best rates. The best annuity rates in Dallas are just a phone call away when you schedule a call. Retiring is easy. Staying retired is difficult. Let us guide you to the retirement income choices that leave you with an income—for life. When it comes to investing your retirement money and being sure that you can retire with guaranteed income, you want to work with an experienced retirement income planner. 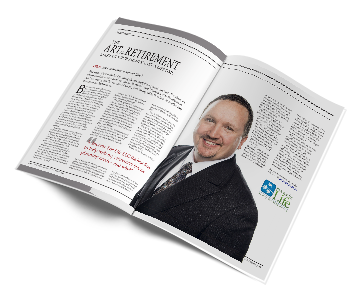 With years of experience helping pre-retirees prepare for retirement, Matt Nelson and the Income for Life team have the knowledge and experience that you need! Income for Life knows that it’s imperative that we earn the trust of our clients. We are committed to maintaining the reputation we’ve earned as your trusted source for annuity advice. Income for Life is among the top 1% of retirement advisors in the world. All those people chose us for a reason. Take advantage of our strong relationships and reputation in the financial industry when you’re looking for the best annuity rates.